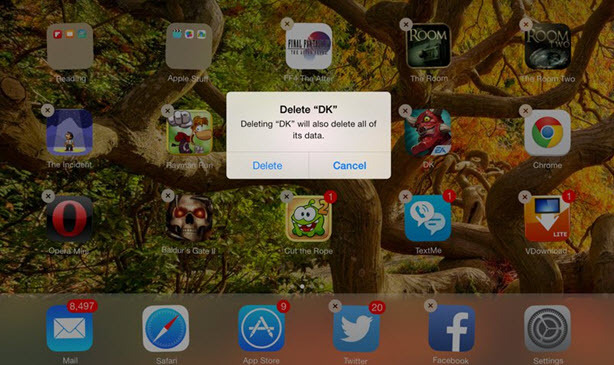 Deleting Apps on your iPad can be time consuming task if you have to delete a bunch Games and Apps. You are deleting those Apps because may you are tired playing of your Games on your iPad or you just want to make more space for your new App that you want to install. It’s actually pretty annoying to delete all the apps and games you want to delete as you will have to delete of them one by one. Deleting Apps on iPad is a bit boring task. Let me show how to delete Games and Apps on your iPad or iPhone. Following are the steps that you require to delete Games and Apps form your iPad. Search for the Game or App you want to delete. Than hold your finger on the icon until a small cross icon appears. Tap on the small cross sign of the Game or App you want to delete. Now a pop dialog box will appear showing you a message that deleting App will delete all its data. Tap delete to delete that App or Game. Or cancel the operation to go back. Note: You must also delete Games and Apps from iTunes as well in order to stop Apps Syncing back to your iPad. Go to Setting -> General -> Usage option. Than tap show all Apps to see all the apps installed on your iPad or iPhone. Now tap any of the App you want to delete. Another screen will appear with the “Delete App” option. It will ask for a warning the deleting this will also delete data for this App. Tap “Delete App” option to delete it completely. Or cancel the operation. There are many softwares available that can delete apps from your iPad or iPhone. Below are the 3 best Software Tools that can be used to remove Games and Apps from your iPhone and iPad efficiently. 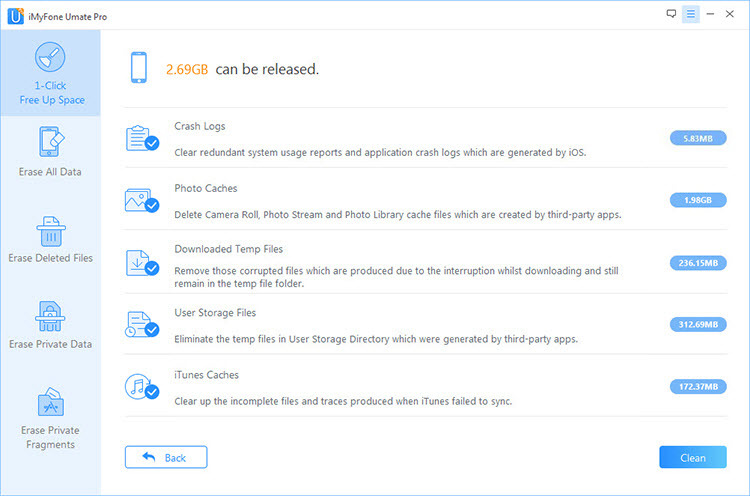 iMyFone Umate Pro or iMyFone Umate Pro for Mac is a Tool that can be used for any iOS device, it can delete apps or games from your iPad or iPhone on just few clicks. It’s available for both Windows and MAC, and it also have a trial version. Download and install to have a try now! iMyFone is trusted by thousands of users (every year) and reported by well-known media around the world . The using steps is so easy, you just need to connect your iPhone or iPad to it. It will provide you option to select the Apps and Games from a list that you want to delete. 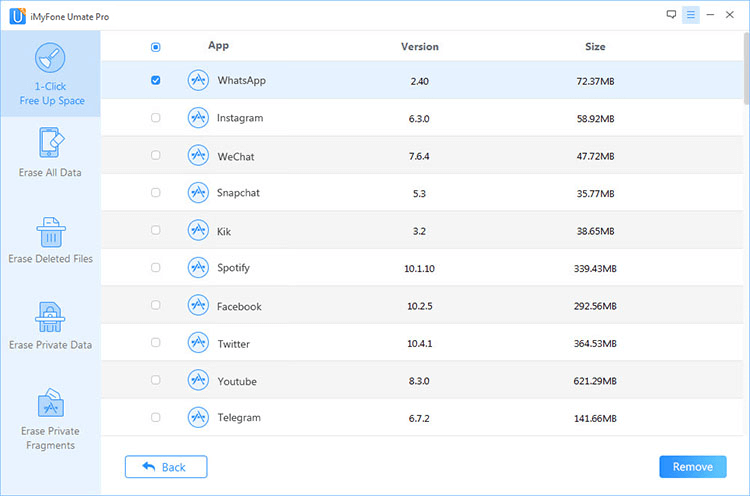 You can delete Apps and Games in a bulk. It is completely safe and easy way to deleting apps and games. You are iPad gets slow or you don’t have space for new photos or you favorite game runs with lag. There is a problem with your iPad. It happens because of the unwanted junk files stored on your iPad. These files are created by different Apps and Games and remain on your memory even you delete those Apps and Games. 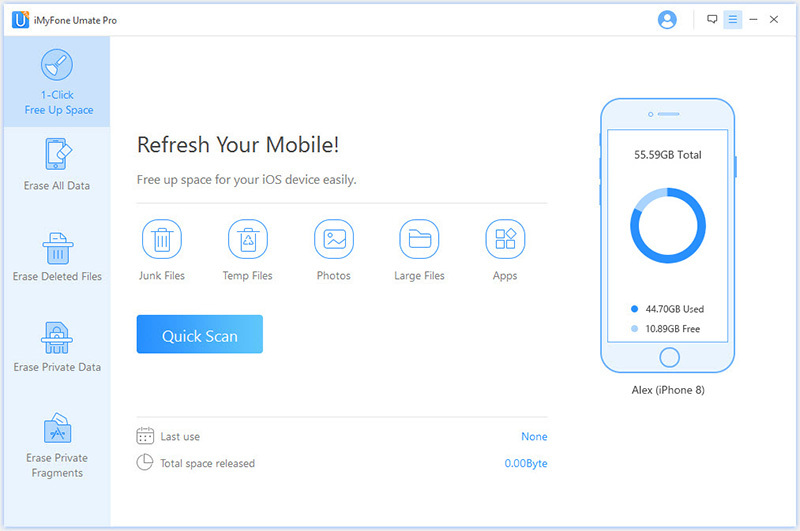 In order to remove such junk files, try the powerful but free function of "junk file cleanup" with iMyFone Umate Pro. 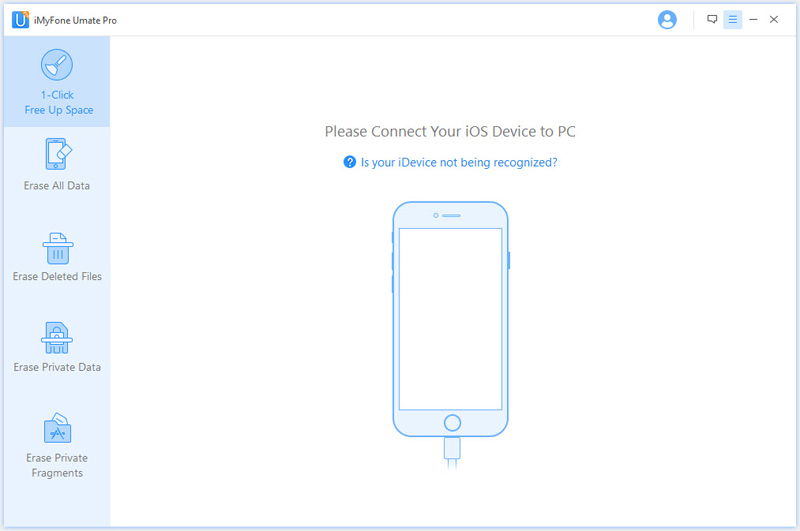 Step 1: Connect your iPhone or iPad - After you have installed iMyFone Umate on your PC or Mac. Now you need to connect you iPhone with the help of cable. And you device will appear on the main window. Step 2: Run a Quick Scan - When scanning of your iPad is completed, it will show you few options to select before you perform a clean operation. Step 3: Clean your iPhone - click the clean button besides "Junk Files" option to clean your iPad. deleting things in bulk is a mess, iMyfone Umate is the best Solution for all this.